In a 16-month period you will study management as it relates specifically to the sports business, and share the classroom with students from all over the world. Starting your studies in Paris, you will first acquire the fundamentals of management in a global environment. 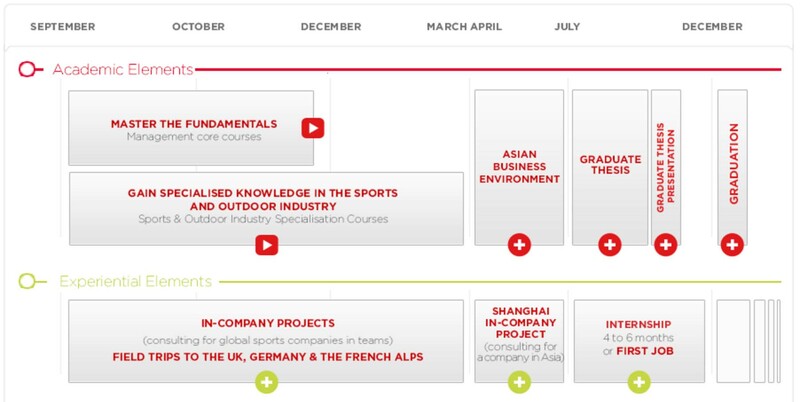 Consecutively, specialist courses will help you manage the specifics of the sports industry. 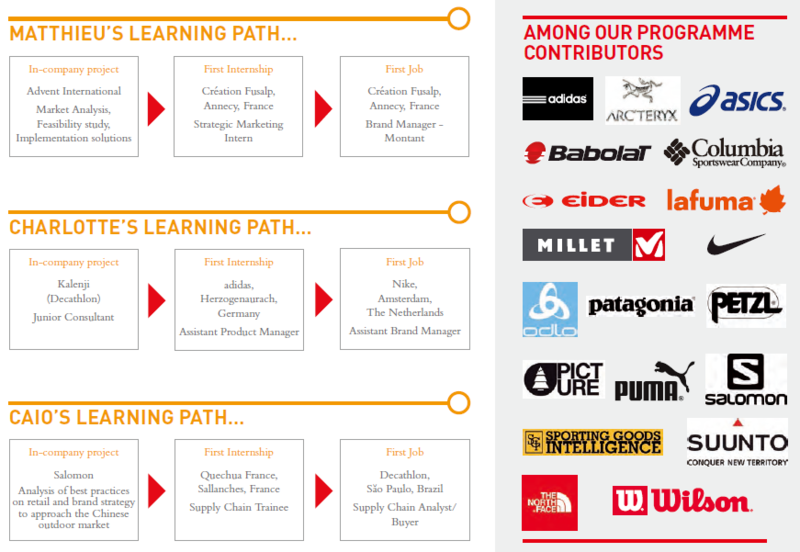 After your time in the Alps, where you will have the opportunity to visit companies, meet and hear from experts, and gain a special outlook on the outdoor industry, you will move on to emlyon business school's Asian Campus in Shanghai, for the “Asian Business Environment” module. If you want to develop all it takes to start a successful career in the international sports industry, then this is the right programme for you!